It’s difficult not to spot a crane in Manchester these days. Innovative new builds are being erected around the city; a sign of exciting times ahead. However, this poses fresh concerns for public safety. Investors, regulators and shareholders share anxiety over a lack of risk management in the commercial and residential property sector. Especially in the wake of the Grenfell fire tragedy, ensuring not only workers’ safety is efficiently managed but that of public use is paramount. What can commercial landlords do to protect the people working in or inhabiting their buildings? The answer lies in robust risk consultancy. Ian Hutchings, managing director of Vita Safety, argues that the most dangerous threat to safety in the commercial and residential property sectors is a casual attitude to risk management. The worst consequence of this can be loss of life. In terms of the business, consumer complaints, contract failures and licence revocations can seriously impact landlords’ livelihoods. Your first step to becoming risk-conscientious, legally sound and accountable for health, safety and fire risk compliance is understanding exactly what your responsibilities as landlord are. In 2017/18, there were 334 fire-related fatalities in England, according to the Home Office. Whereas tenants are liable for their business’ use of electricity inside the property. For example, if they have independently installed gas or electrical appliances, it is their job to ensure such equipment meets safety standards. If you don’t conduct regular risk assessments for any existing asbestos, you could face a significant fine. You might also face two years in prison. These are the three big duties. For a comprehensive list of your legal responsibilities for managing asbestos, read HSE’s guide. A property’s fixtures and fittings – furniture, carpets, flooring, blinds and curtains, lamps, sinks, toilets, security alarm systems and the like – must be installed properly and be safe to use. For electrical equipment, you will need a relevant installation and test certificate. If a tenant has installed such fixtures or fittings themselves, the duty of care falls on them. If you rented a property and your boiler broke down, you’d expect your landlord to take responsibility for its repair. Commercial property rentals work in the same way. If there’s a fault with the building or the facilities installed inside it by the landlord, it’s your job to organise a repair to get the problem fixed professionally. However, the legal duty also rests with you if you are an employer; ensuring that gas and electrical systems and fixtures are safe for the work environment. Too Much Responsibility to Bear? Vita Safety takes the worry out of effectively managing property safety risks so you can concentrate on doing the work you enjoy most. As you’ve discovered from the above, you have a lot of responsibilities and laws to abide by when it comes to being a commercial landlord or a property management company. With support from a credible risk consultancy like us, you can ensure no safety hazards are left unchecked all the while maintaining compliance with current health and safety laws. Vita Safety adopts a partnering approach with clients, providing a management service for workplace wellbeing coupled with property risk assurance. Where the expectation may have been to deliver the occasional audit and a one-off risk assessment, we are now working with clients to help remove the burden of tracking and managing their workspace and property risk. 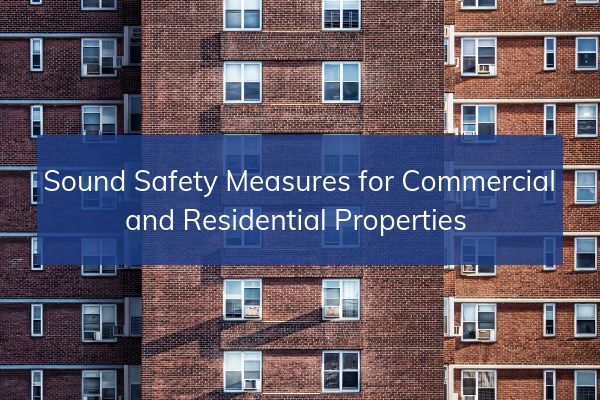 As a landlord or property manager, you might just be the best and only barrier against life-altering incidents within your commercial properties. Call Vita Safety today on 0161 486 5020 (Manchester) or 0203 126 4997 (London) to take ownership of your risk-prevention responsibilities without hassle or worry. Also, for more insights into health and safety management in the commercial property sector, read our recent blog.